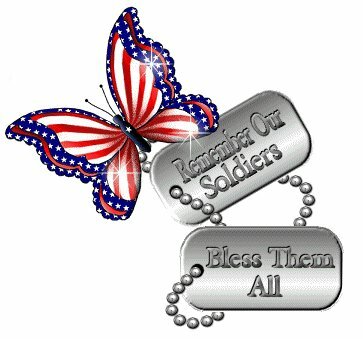 "ALL AMERICAN SALUTE TO OUR ARMED SERVICES"
The Cimarron Starlite Cruisers Car Club would like to express our sincere appreciation for the men and women who serve all of US, by choosing a career in the US Armed Forces. 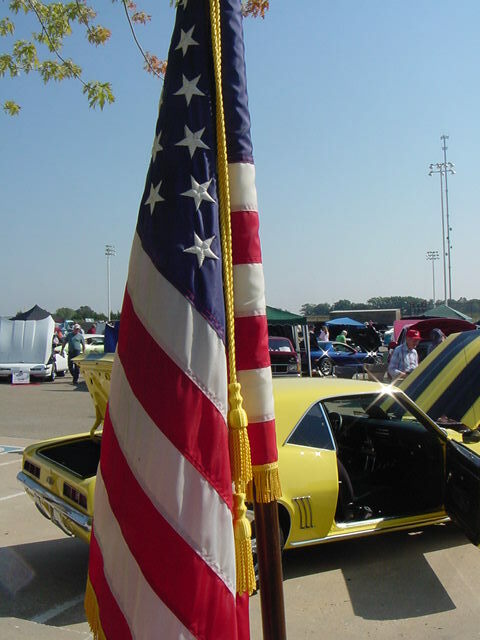 During the 2008 Perkins Car Show we paided tribute to our fellow countrymen who have served and are currently serving in all branches of our military. The program for the 2008 Perkins Car Show came about because one of our many CAR GUYS, Garry Roberts of Bristow, who is in Iraq for his third tour of duty. Senior Master Sergeant Garry Roberts has served the United States of America since February of 1980 as a member of the US Air Force. Garry and his buddies from the Bristow area always come to the Perkins Car Show and are appreciated by the Cimarron Starlite Cruisers Car Club for their support. Garry is a member of the Creek County Classic Cruisers Car Club. Many of you will know Garry, as the tall guy with the big smile, driving the Daytona Yellow 69 Camaro with the 502 big block chevy engine. There are a bunch of great men and women like Garry, who serve US by their unselfish commitment to the US Armed Services and our United States of America. This is Garry Roberts here in Iraq. I got emails from my buddies that went to the show yesterday and was in awe about the things you did there. I just wanted to personally thank you and the rest of your crew there in Perkins for paying tribute to the armed forces and me. It's people like you that makes us able to continue on in our fight on terror. I do not have any pics yet and I can not access your website from here. They won't let us access certain websites and yours is one of them. Things here in Iraq are going well so far. We are doing our mission and doing it proudly. All the guys are in good spirits and we continue to do our best under the circumstances...Thanks again Shelby, for your love of our country and the support of our armed forces both at home and abroad...you're a real patriot...God Bless you in all you do. Garry is a real car guy and has built a truly great Classic Camaro. 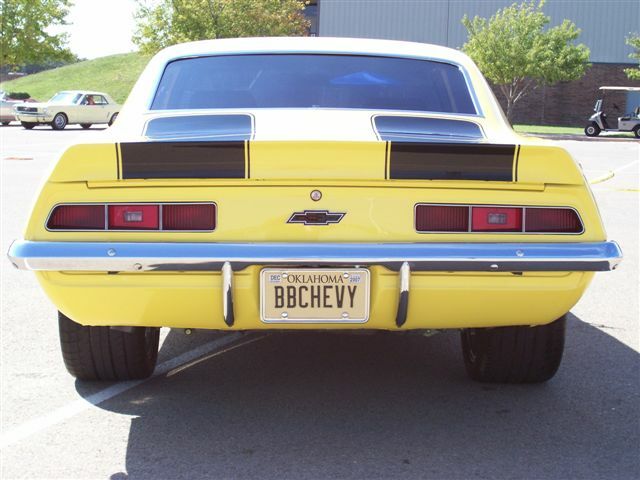 This outstanding 1969 Chevrolet Camaro has 72 thousand original miles on it. When Gary bought the car from a friend the body had been restored. 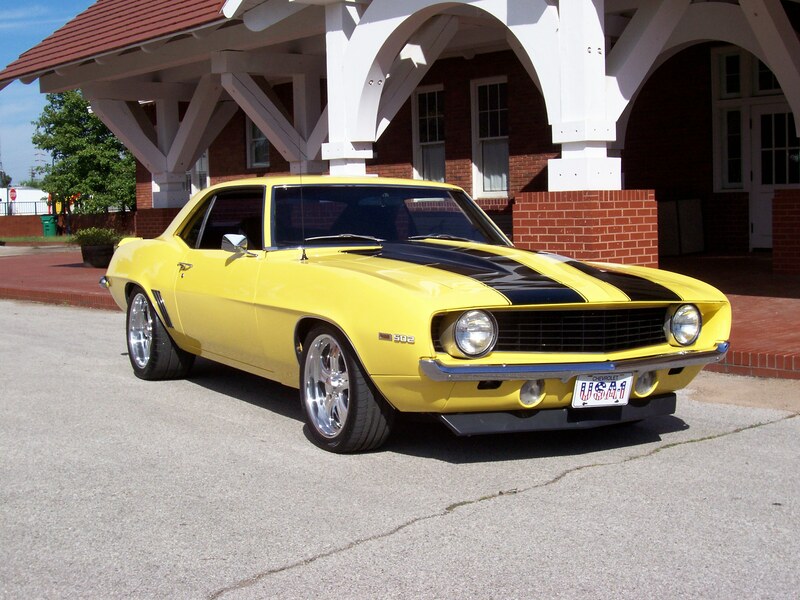 The Camaro was a 350 V8, automatic, air-conditioned car. After driving the Camaro for about a year, Gary decided to join his hot rod buddies and change the Camaro into a ground-pounding monster. He installed a 468 cubic inch V8 with a Wieand Blower and 950 Holley Double Pumper. That combination made 600-horse power with over 630 pounds feet of torque. He drove and showed the Camaro for about tow years with that engine set up. 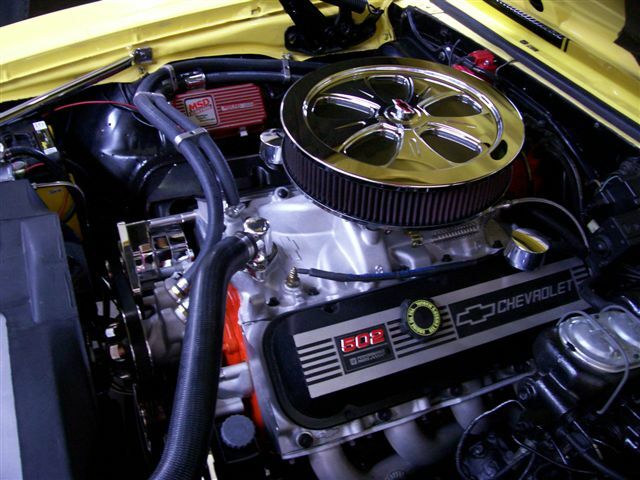 Garry decided to make a major change and purchased a ZZ 502 GM Crate engine. This big block puts out 502-horse power with 565 pounds feet of torque. He added a TH 350 automatic transmission with shift kit and a B & M a Holeshot 2400 Stall Convertor. While installing this GM big block Garry installed a DSE Mini Tub/Lowering Kit that dropped the car three inches all the way around. He also installed eleven inch wheels, narrowed the fuel tank, because of the leaf springs being moved inboard with the mini tub kit. 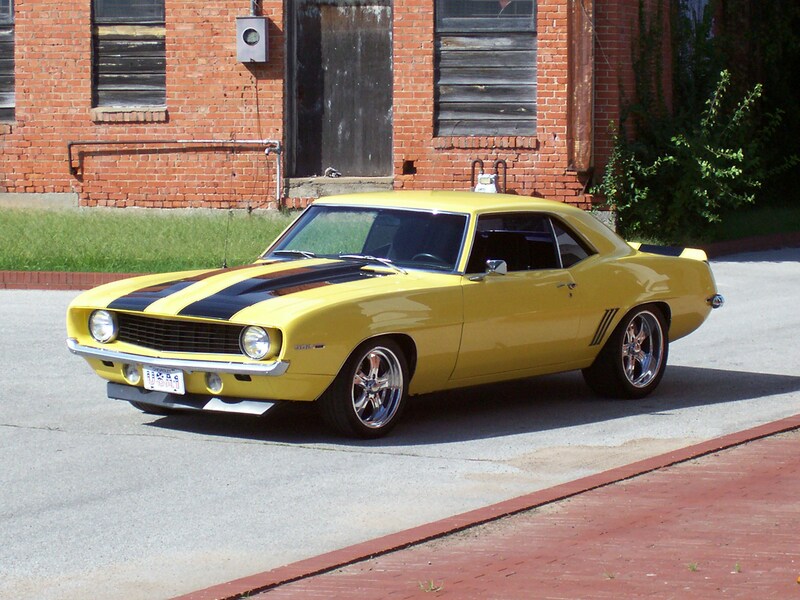 Garry, also had the Classic Camaro repainted Daytona Yellow with Black Stripes in the summer of 2007. 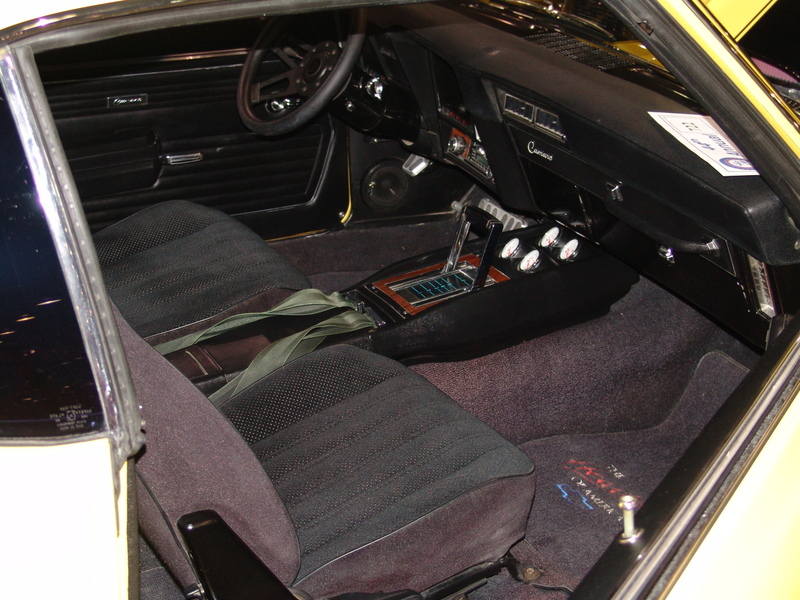 Garry’s Camaro has a very nice interior but as with all Classic Car owners something always needs to be changed. He wants to change the interior and install a new overdrive transmission to slow the big blocks rpms at highway speeds and just maybe save a little tiny bit of fuel! The Cimarron Starlite Cruisers salute our friend Garry Roberts, US Air Force, on tour in Iraq and proud member of the Creek County Classic Cruisers Car Club. Garry's Camaro was on display at the 2008 Perkins Car Show.